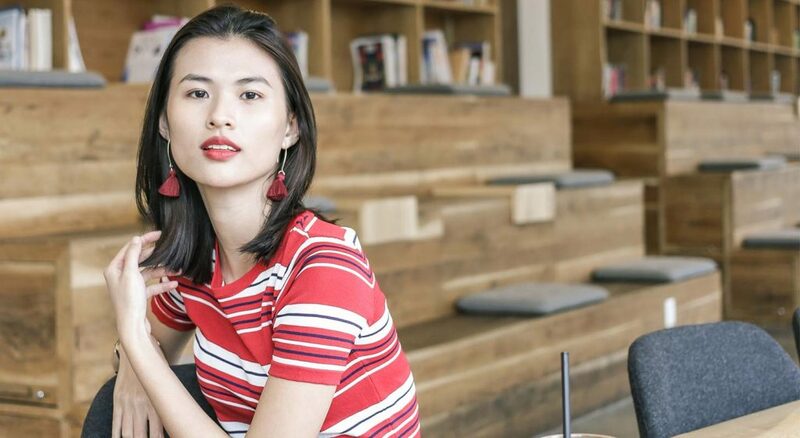 Welcome to the first installment of our Vietnamese models series. 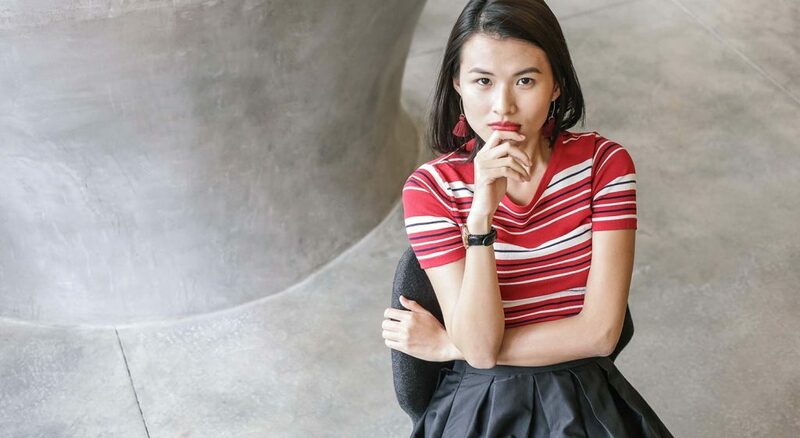 At Vietcetera, we like to take a closer look at the young and up-and-coming figures, businesses, and trends that are coming to define the new face of Vietnam. 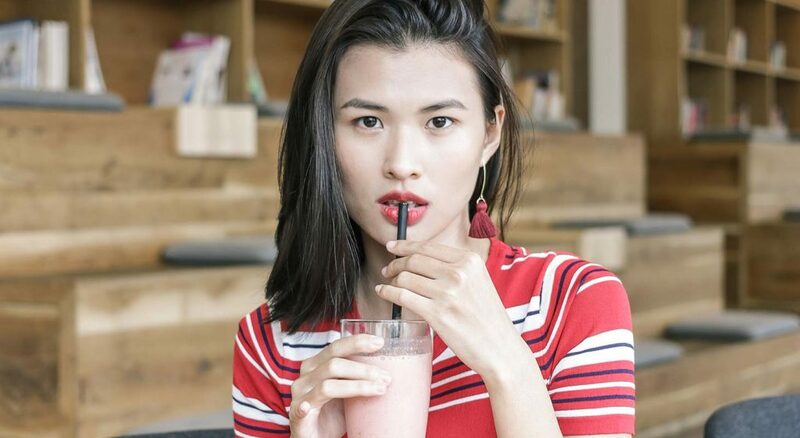 Vietnam’s models and supermodels have gained worldwide notoriety for their beauty and grace. Let’s take a look at who they really are. This is Cao Thien Trang. She’s from Hai Duong province. But she grew up in Saigon. She’s 23. And she’s a weekend model. Trang was a top 3 finalist for Vietnam’s Next Top Model in 2012. If the weekend’s got a cool job lined up for her, she’ll do photo shoots for magazines and even videos. In 2012, Trang made it onto Vietnam’s Next Top Model, rising all the way to the top 3. But her journey into Vietnam’s Next Top Model has an unusual beginning. Cao Thien Trang: Well, back then I was just 18. And honestly, I applied for Vietnam’s Next Top Model for kinda innocent reasons. Number one, I wanted to get to go in an airplane, and number two, I wanted to be able to stay in a 5-star hotel. And somehow, months later, I was in the top 3 and I got to be one of the first models to go to New York. 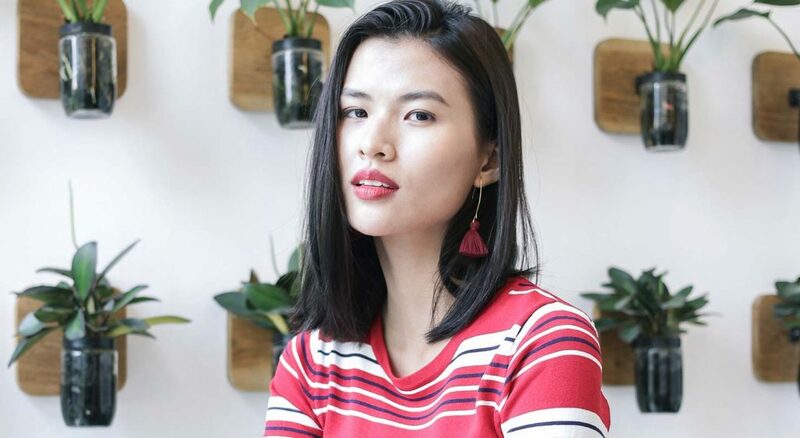 In our interview, you could sense a maturity and charm to Trang. She’s confident when talking and driven about her goals. 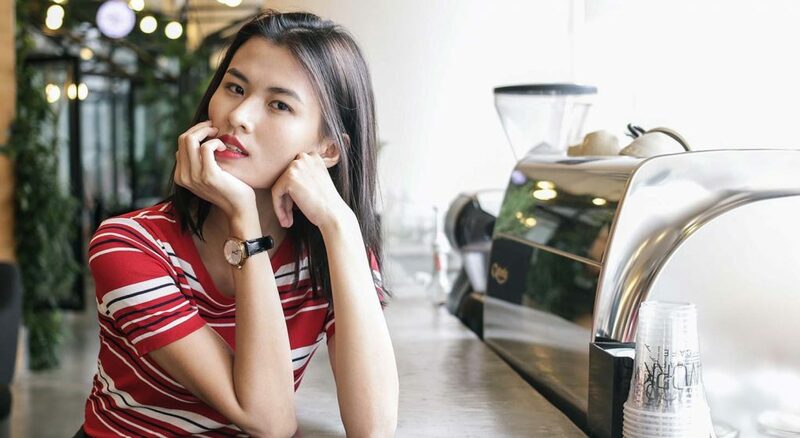 Trang: For me, modeling wasn’t always at the forefront of my mind, it’ s more of a hobby. I’m actually more interested in doing business so I can provide for my family and making some kind of larger impact. What do you think are your biggest achievements? Trang: Paying my parents back. We didn’t have much when I was growing up. In total, my parents were probably making $700 or less between the two of them. So I always felt this drive to contribute back to my family, and that has been a big point of pride for me. It’s also what drives me deeper into learning about business, marketing, and communications. 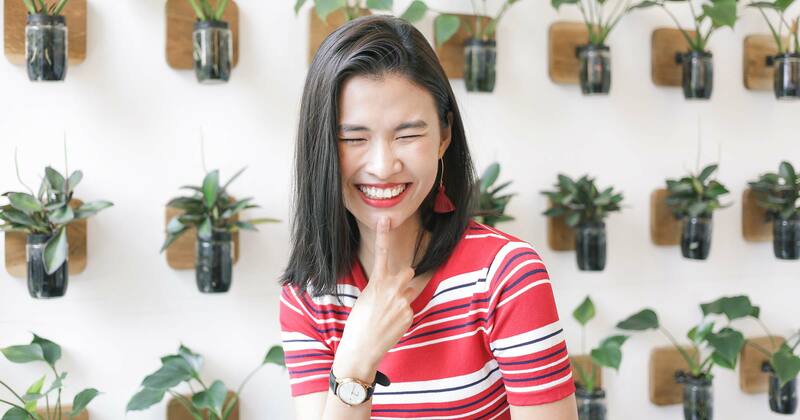 Trang: Personally, I really want to be a better business person and I’m also really interested in understanding other people. But at the same time, I think I talk too much. I want to be a business woman that is smooth…a person that knows when to start and stop conversations…and how to analyze and understand and bring something new to a conversation. I think that’s an area where I’m still weak. What do you think are problems that Vietnam faces today? After all, it seems that Vietnam is changing very rapidly. The internet is changing the face of people’s identities and the economy is in flux. How do you think Vietnam can improve? Trang: Today, I think Vietnam has a lot of potential. Right now, Vietnam has a lot of people investing into the country. The younger generation is really large, I think I read that it’s over 50% of the population. And our training and talent is also there, or increasing. In general, we have a lot going for us. And even foreign investors, I see very many of them. So I see Vietnam has the talent and the money. Those are the two potentials. But the youth of Vietnam has been deeply affected by the media. It affects their way of thinking and their lifestyle and their identity and even the way they speak. In other words, the media can have a large impact on how the Vietnamese youth will head in the future. I think, in that sense, the media is too focused on sensational and clickbait type of information. But it doesn’t focus on the information that helps us improve. So, when the youth sees this. And they see the scandals or the figures in Vietnamese society, than that has a big impact on them. In terms of how Vietnam can improve, I guess it’s up to every individual. Even for me, I’m trying to figure it out. I’m not a politician or a large influencer, so I don’t really know how it can be solved. What advice do you have for young Vietnamese girls today that want to be a model? Trang: Understand your environment. When we do anything, we should evaluate and prepare ourselves. And usually, people fail because they’re not prepared. It’s a dangerous situation to be in. When I was young girl, I also wanted to be a model because I saw the beautiful and hip side….being well-dressed, the glamour, the luxury, and getting to travel to all the far away places. But we have to see the other side. There’s the very difficult and struggling aspect of the situation. And if you want to choose modeling as you career, than you have to prepare your mettle and strength for it. You have to be able to use your mind and your body. Because the career of a model is very short. By the time you get to 30, you’ll probably not have a career anymore, unless you’re looking forward. Because the younger generation is always coming up and they’re always getting prettier. So a person that is getting older will slowly not have an opening anymore. So if you want to choose modeling for a career, you need to know what you will do after you get older already. You need to plan for it. Or else you’ll get stuck. What’s your favorite cosmetic that you use to keep your skin fresh and stay pretty? Trang: I mainly use The Body Shop. The products are very high quality and the Beauty with Heart series, I like since they use raw ingredients. Where is your favorite place to go in Vietnam? Trang: Da Nang! I love beaches! The culture is also great and the people are very sweet. The Workshop. I love their coffee and the atmosphere is hip. Who are the models that you hang out with the most? Trang: Thuy Duong and Kim Nhung. I get along with many of the other models, but I always end up hanging out with Duong and Nhung. Who’s your favorite up-and-coming fashion designer? Trang: Lam Gia Khang. I love how his style exudes a sense of refinement while also being fashionable. Trang: Le Dang Khoa. He’s the a kind of person that cares a lot about the society. Every week, he builds a house for people who are underprivileged. He constantly does training for people who can become leaders and to the people who are impoverished. How many books do you read per month? And what’s your favorite book? Trang: My favorite book is definitely Buyology. It taught me a lot about how to understand the customer, which I really think needs to be understood more deeply. Every month? I probably read about 4 books a month. If you became famous, what would you do with your fame? Trang: Hm….alright, first of all, I really want to make sure that I can build a business on top of my fame. For example, if I’m famous due to being a model, then I’ll open up a business around modeling. If I became famous due to business, I’d open a consulting company. And if I became famous in the entertainment industry, I’d use that fame to transfer my experience and passion to others. Essentially, I really want to become a teacher, at the core.